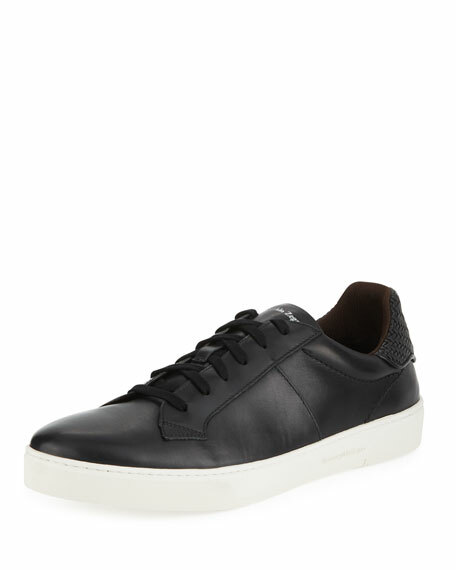 Ermenegildo Zegna vulcanized sneaker in smooth leather. Maserati logo branding at tongue. 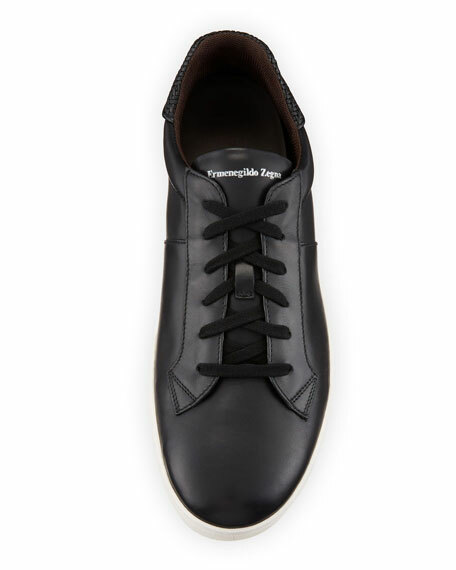 Flexible and lightweight rubber outsole. 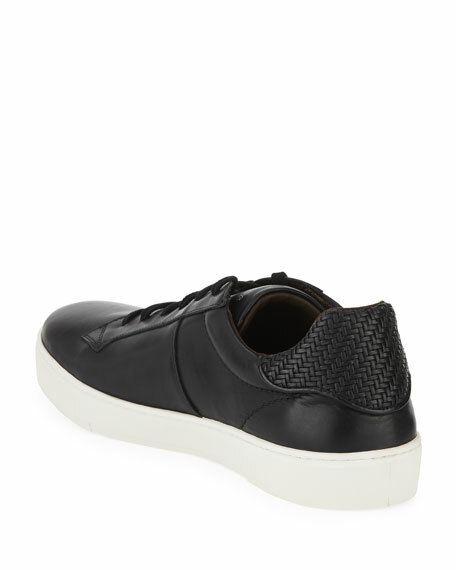 "Vulcanizzato" is made in Italy.